In order to coach Level 4 Athletes or higher a Trampoline coach MUST have Level 3 Technical. The following summarizes the Gymnastics Ontario requirements for coaches to participate in member club activities, including training sessions in gyms and attendance at all competitions. Please note that these are the minimum requirements only; Gymnastics Ontario advocates that coaches should complete the appropriate NCCP programs and receive additional professional development through their club. All member clubs must have an NCCP Certified Level 2 Coach on staff which has been a requirement for Gymnastics Ontario membership since 1998. All member clubs must also be sure that they are following the appropriate NCCP coaching guidelines as outlined here. 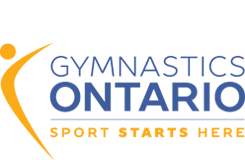 Gymnastics Ontario also requires that all member clubs have a legal adult (age 18+) on site at all times. This adult must have completed the Respect in Sport program, and have their current first aid certificate. Gymnastics Ontario also strongly recommends for good practice that all member clubs have a second adult (age 18+) on site at all times. This second adult does not have to have any NCCP, Respect in Sport or first aid certification. For instance: a parent or school teacher on site will fulfill this recommendation where the coach fulfills the requirements noted above. For Example: If the coach is appropriately certified, is 18 years or older, has completed the Respect in Sport and a has a current first aid certificate then the second adult in the gym does not have to have any NCCP, Respect in Sport or first aid certification. First Aid – In order to be certified in Trampoline under the old NCCP you MUST submit a copy of a current First Aid certificate with your practical hours. Effective July 1, 2016 all Coaches who plan on being on the Competitive floor must be a minimum of Level 2 Certified OR Competition 1 (Introduction) Trained in the discipline they are coaching. All coaches must be in possession of their coach ID at the competition. Coaches who do not have ID’s will not be allowed access to the competition or warm up floor. Must be under the direct supervision of a qualified coach in a non-competitive teaching situation. * Direct Supervision is a one to two ratio (Certified Coach to two pre-CIT/Uncertified) where the certified coach is directly coaching and is responsible for the athletes in the group and the pre-CIT or Uncertified individual is assisting the certified coach. A pre-CIT or Uncertified coach cannot have their own group. ** The Technical Course or Foundations Sport Specific Course completed must be in the discipline that the individual is coaching. * The Technical Course completed must be in the discipline that the individual is coaching. Must be registered with G.O. as a Coach. (Please note that these are the minimum requirements only). NCCP Theory 2 modules/Competition Introduction Theory is required to be granted access to a competition floor. If programming directly involves the use of trampoline, the coach must have successfully completed the NCCP Level 1 Technical component of trampoline OR Foundations Trampoline Course. The term trampoline consists of the following; trampoline, double mini, and tumble track. If the trampoline is used for inversions the coach must have successfully completed the Level 2 Technical component of trampoline. In order to teach inversion skills on a trampoline, an artistic gymnastics coach must have successfully completed the NCCP Level 2 Technical component of Trampoline or be certified NCCP Level 4. In order to be certified any Level in Trampoline you MUST have a current First Aid certificate. Must be registered with G.O. as a Coach of a Provincial Athlete. (Please note that these are the minimum requirements only). In order to teach inversion skills on a trampoline, an artistic gymnastics coach must have successfully completed the NCCP Level 2 Technical component of Trampoline or be certified NCCP Level 4. Must be registered with G.O. as a Coach of a National Athlete. (Please note that these are the minimum requirements only). Gymnastics Ontario is responsible for delivering Gymnastics Canada’s Coach Education Program, which adheres to the standards of the National Coaching Certification Program (NCCP) as set out by the Coaching Association of Canada (CAC).